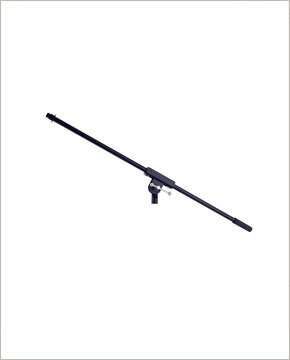 Non-telescoping boom with square housing and slideable T-handle tension knob. US/Euro thread adapter included. Durable black powder coated finish.